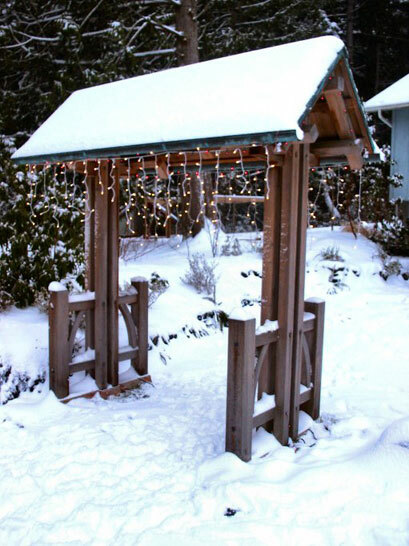 A welcoming portal that I built before timber framing was part of my design palette. 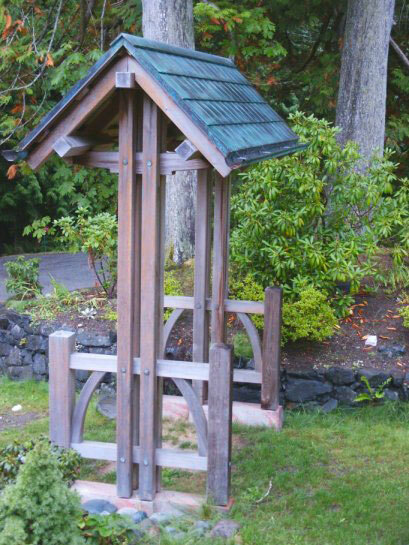 Nonetheless, this garden gate has served as a test bed for concepts that have carried into subsequent timber frame designs. 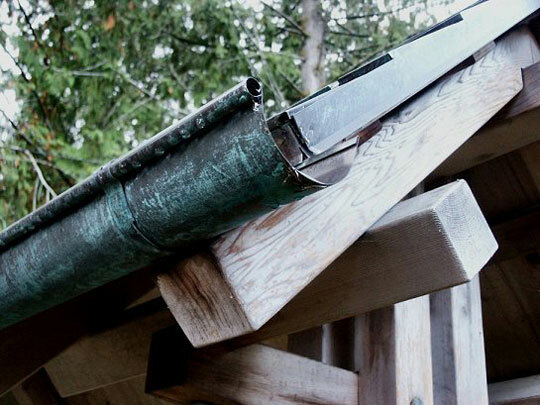 The beautifully patinated copper roof and naturally grayed cedar demonstrate the Japanese concept of wabi sabi, the beauty of old and new. This Chumon or middle gate measures six feet from post to post.